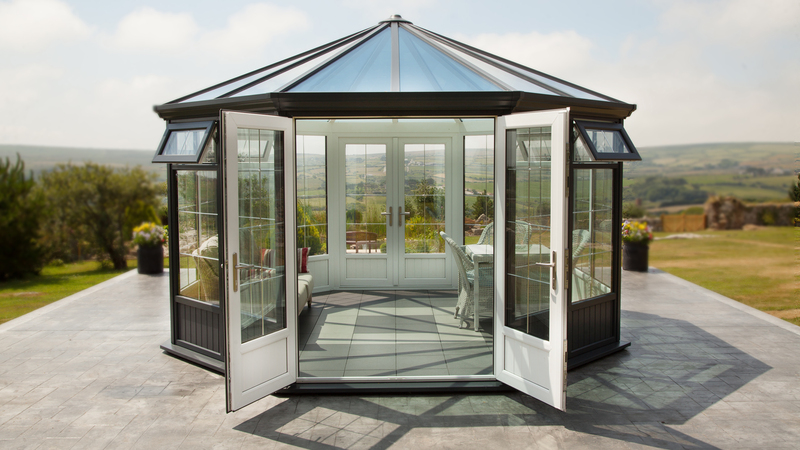 The order was placed with our UK partner GBC Group, the Melbourne Pavilion ordered included a few significant additions from the standard specification, including the addition of a second set of opening doors. 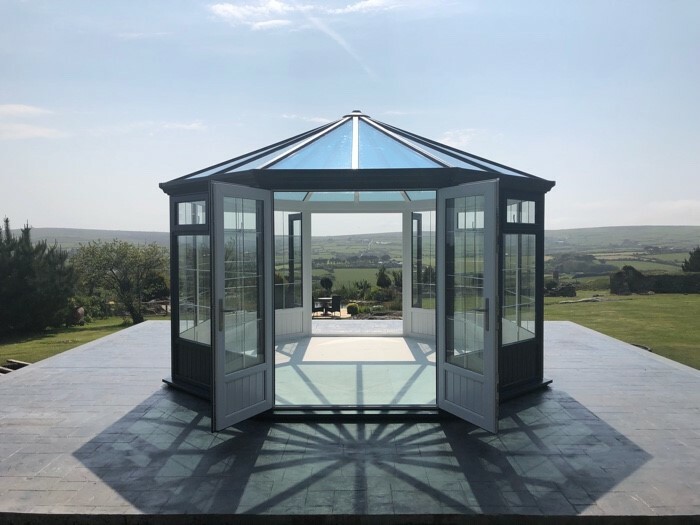 When we install a building in the UK, our installation team carry out a number of important tasks to ensure our customers are 100% happy, this includes the recording of the completed installation on our mobile app. 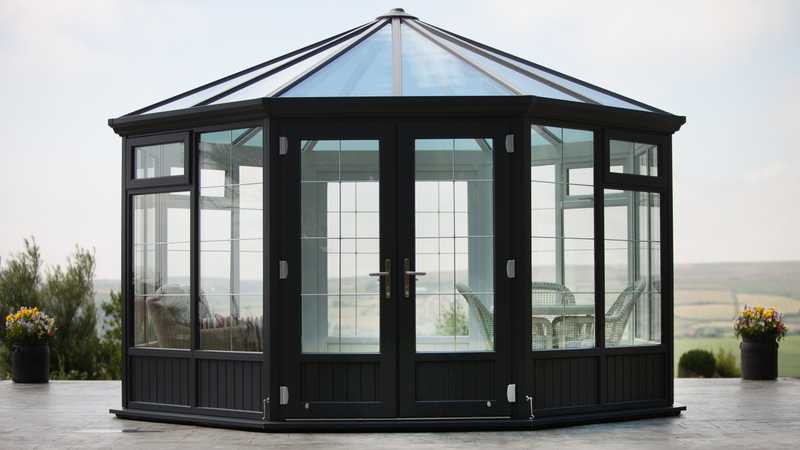 Our app allows the customer to give their feedback including comments on how the process was from the moment they placed the order through to completing the installation of the building. 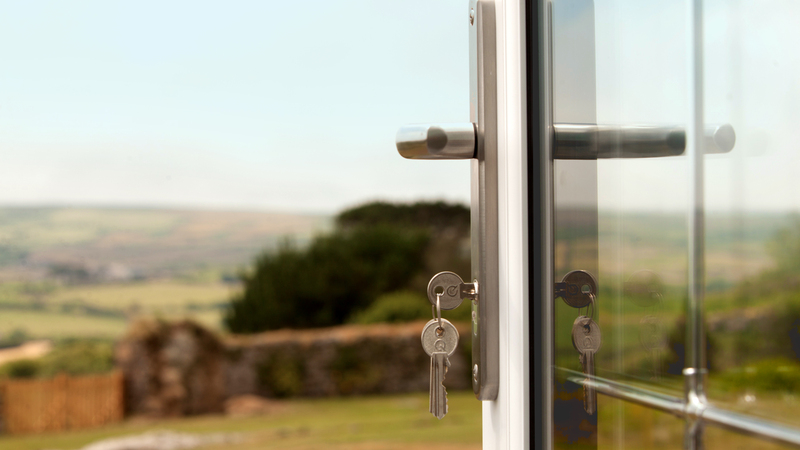 Our team also take a few images and submit to our operations team back at our head office in South Wales. 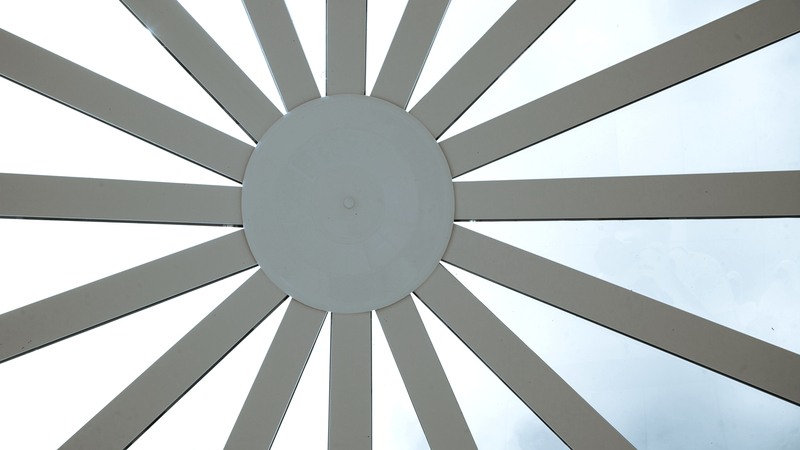 As soon as we saw the installation images of the Melbourne Pavilion, we knew we had to pay a visit! 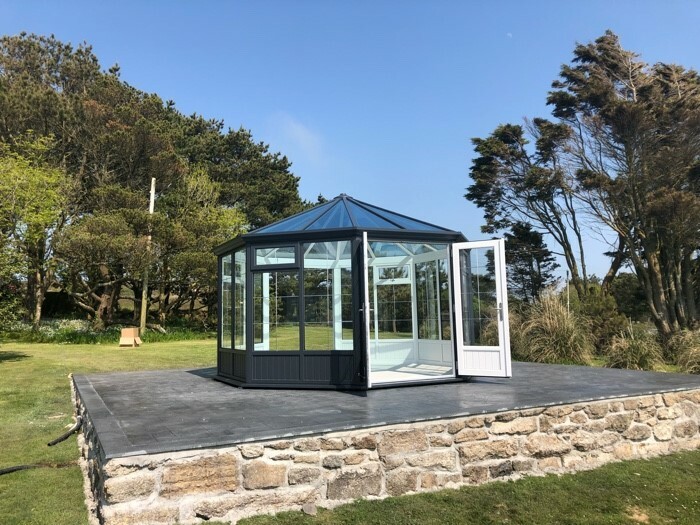 We quickly decided that a few images would not do this building and its setting justice, so we created a video using the latest drone technology to really embrace the beautiful countryside in Penzance. 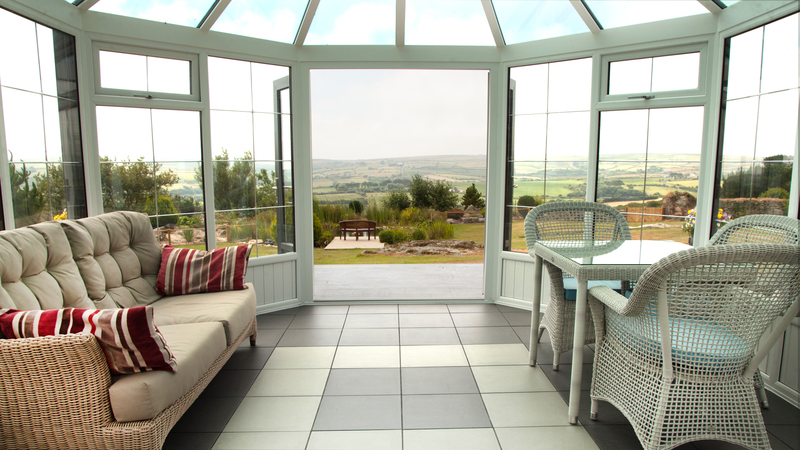 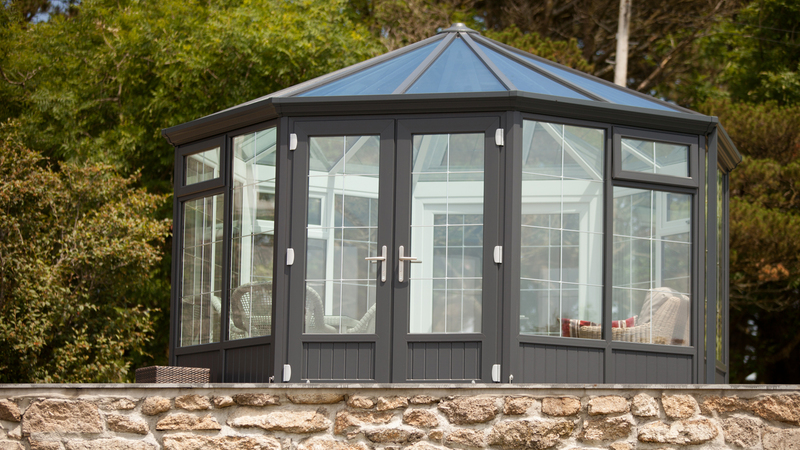 “We’re so pleased we didn’t have a conservatory, but chose a garden summerhouse instead from Nordic. 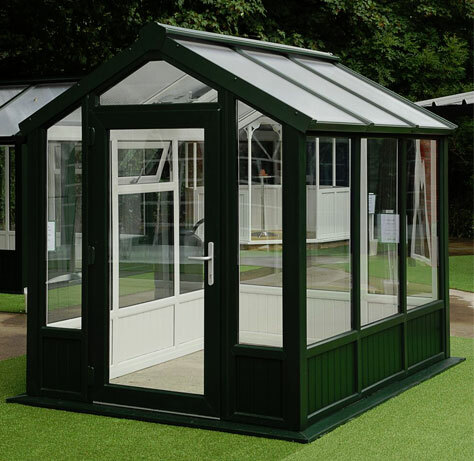 We’d been thinking of adding a conservatory to our house for some time but the need for a planning application and the thought of the mess as it was knocked through, was putting us off. 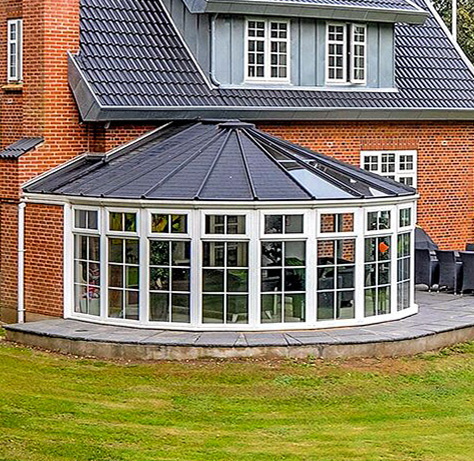 That’s when we came across Nordic’s range of buildings. 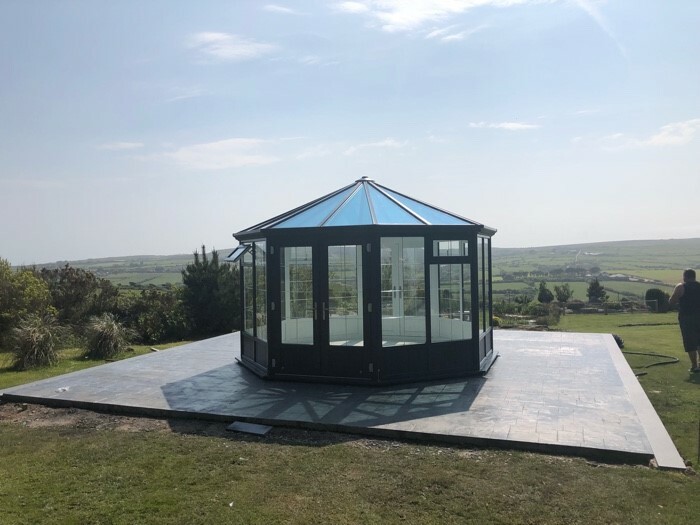 We chose the stylish octagonal lines of the Melbourne, and decided to make a feature of it in our garden by setting it on a purpose built concrete base and we’re delighted with the result. 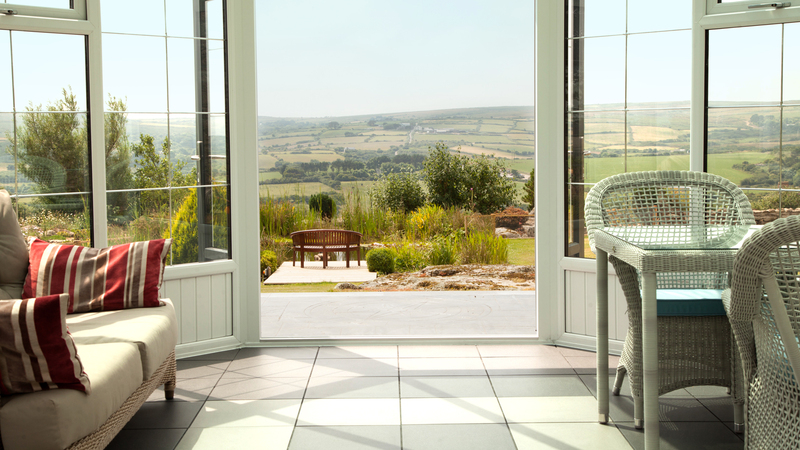 We can open both sets of twin doors set opposite one another on very warm days and it hasn’t got too hot, whereas when it’s windy or cooler we can close some, of all the doors, and regulate the temperature so we’re using it whatever the weather. 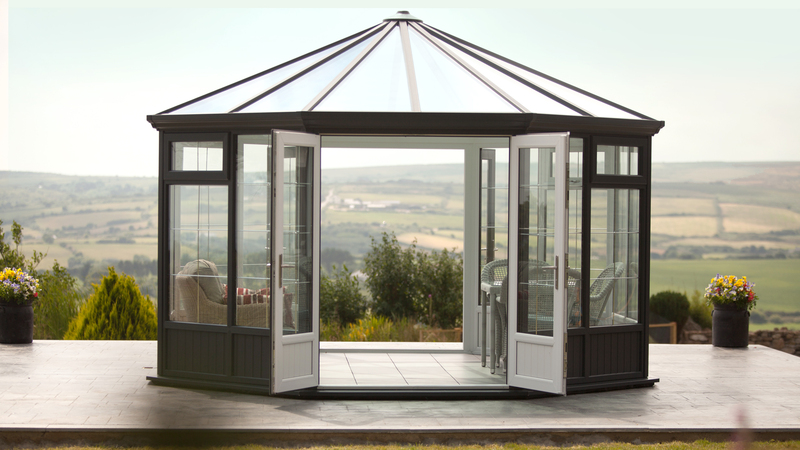 As it’s big enough to house both a small dining table as well as casual seating, it’s suitable for a variety of uses. 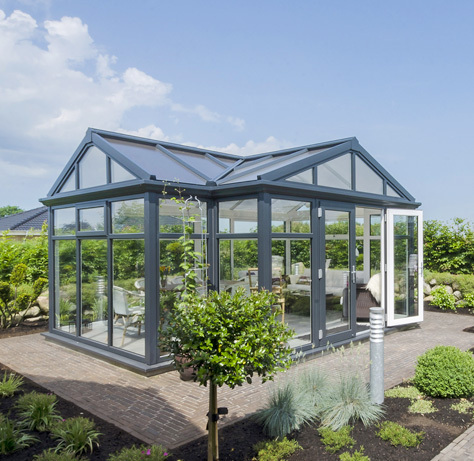 The new owners confirmed that they had looked not only at conservatories but also other garden building options but over a prolonged period of time and LOTS of investigation into alternative manufacturers, they had come to the conclusion that the benefits of a garden building from Nordic eclipsed the competition. 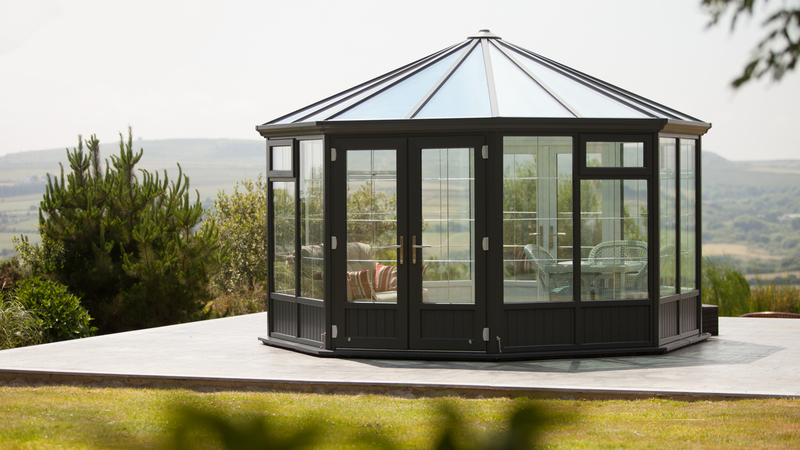 Nordic Garden Buildings in conjunction with our UK retail partner, GBC Group, continue to grow and extend our range in the UK. 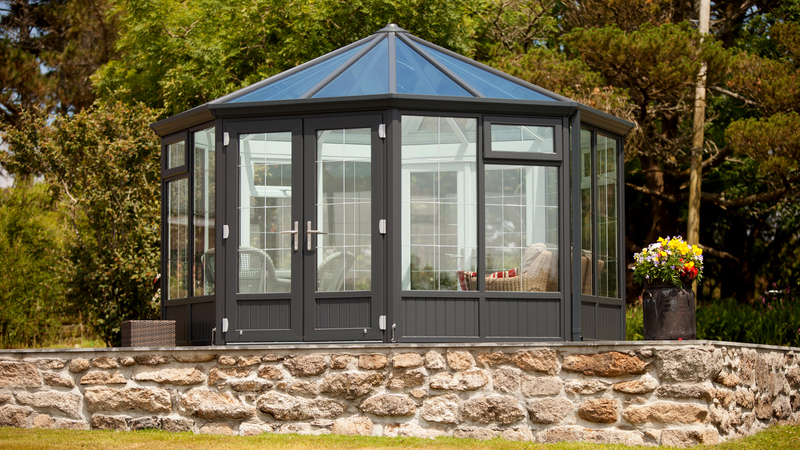 The addition of the Greenwich and the Broadway in 2018 show that we listen to what I customers want in relation to design and focus on developing a “best of breed” range of buildings for the UK, Scandinavian and European markets. 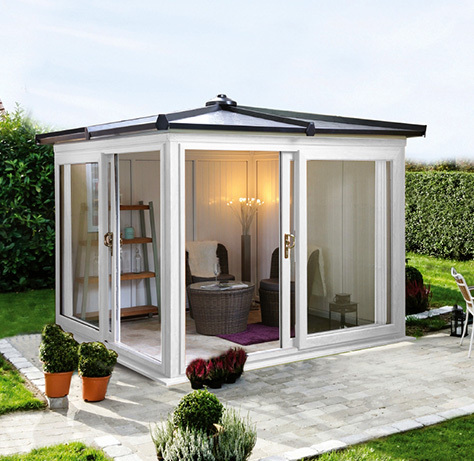 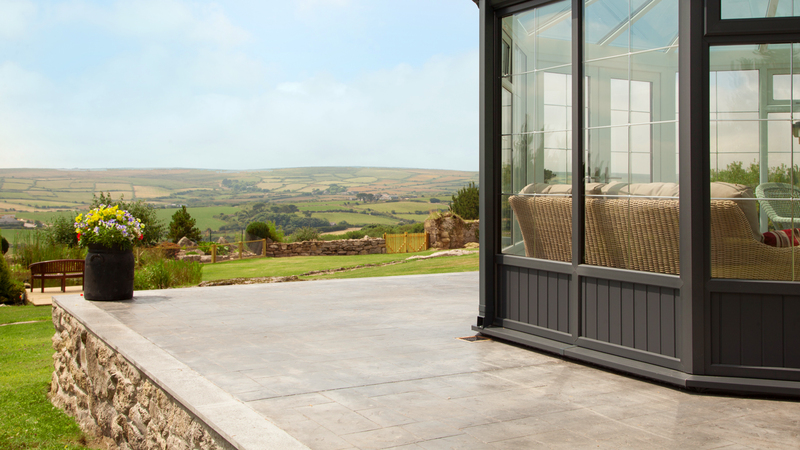 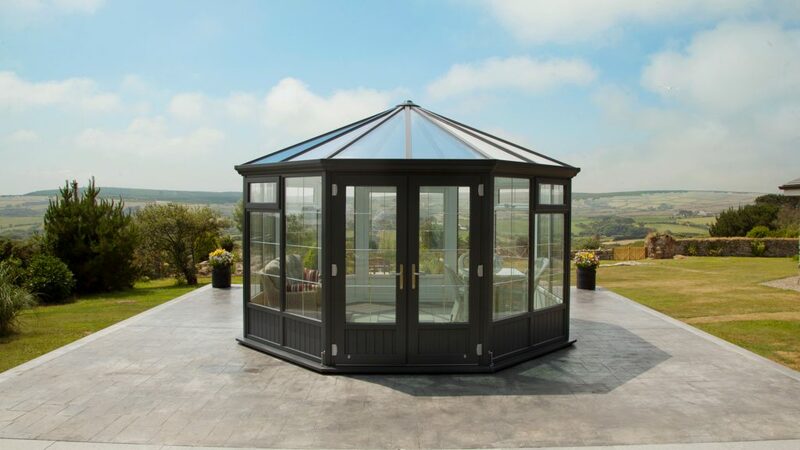 The Melbourne featured in the article is the Melbourne Pavilion 1600 model, selected with a premium glass roof in a contemporary grey outer frame finish. 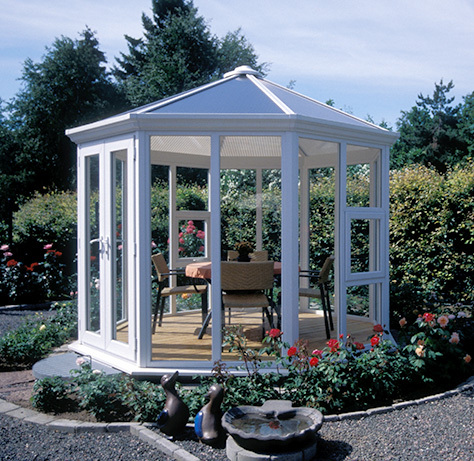 All of our buildings come with after sales support and a 10 year guarantee.